This beautiful Chantelle dress is very striking on stage and catches the light beautifully. 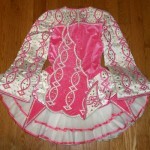 We have received so many compliments on this dress and are very sad to see it outgrown. It would suit a 6 – 8 year old. 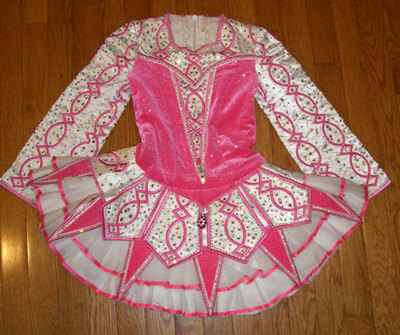 The bodice is a pink velvet with soft sparkle, the sleeves and skirt are a white satin, and the lower skirt is a white tulle. 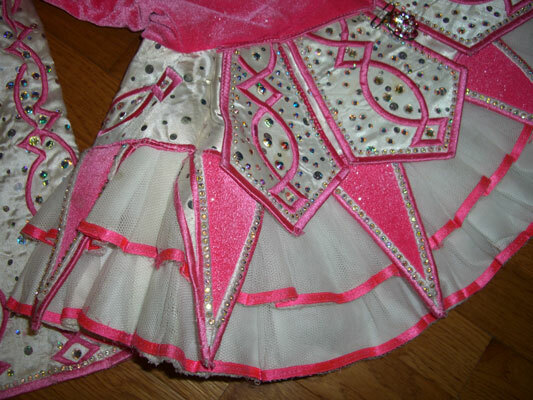 Lots of crystals were added just prior to the 2009 Oireachtas. Matching headband, in excellent condition, is included. 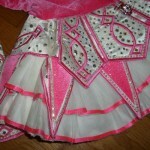 Pink & white polka dot bloomies and a pair of metallic silver bloomies are also included. 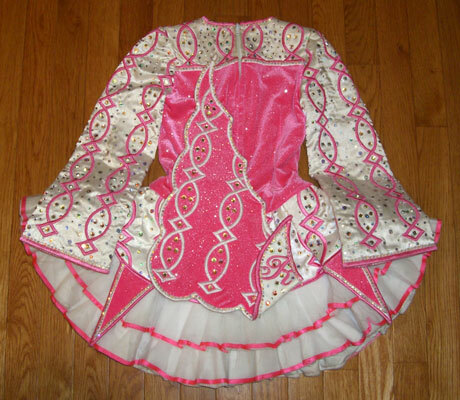 Dress is from smoke-free home, and has been stored flat. The dress is located in eastern Pennsylvania. We will ship internationally but international sales will be final. Additional photos are available upon request. Please do not hesitate to contact me with any questions. Asking Price: $US550. Shipping costs not included. Will accept returns and refund the cost of the dress, buyer to pay all shipping costs.